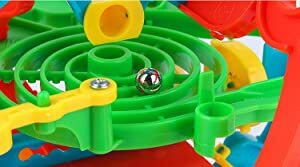 Master the challenge of the crazy, fun world of maze ball! Inside the maze ball you’ll face 22 feet worth of challenging twists, turns and obstacles! 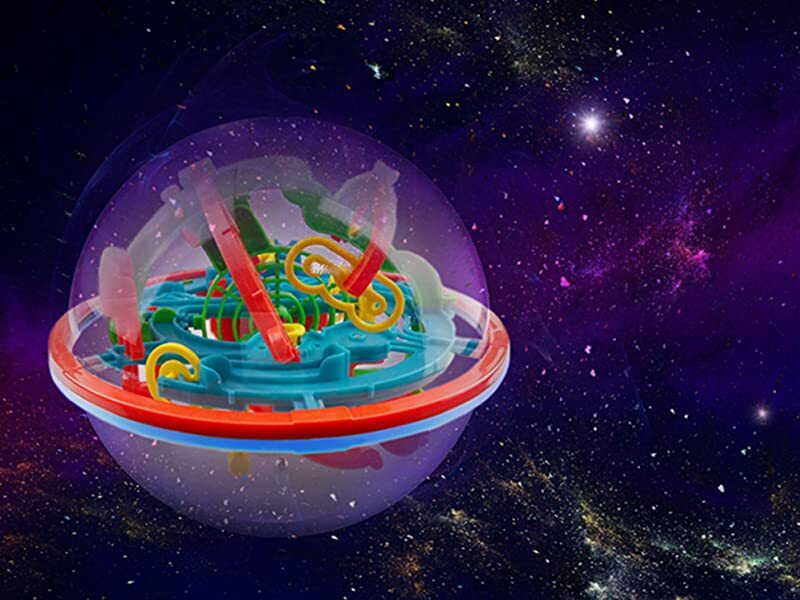 Flip twist and spin perplexus to move the metal ball along the numbered path. When you fall off the track (Yes, it will happen!) head back to the start and try again. Secret 1: Calmnedd is essential for winning the game. Never lose your patience. Otherwise you will never make it to the goal. Secret 2 : Fully use your imagination of space and observe the characteristics of each barrier. Change the position of your Intellect Ball for the little ball to remain on a horizontal surface! Thus you can move toward victory step by step! Timed Game: In specified time, the first player to reach the goal wins the game. If no player can make it to the goal, the player that has passed the most barriers wins the game. Free Game: Time is not counted during the game. Whenever a player reaches the goal, the game automatically ends and that player wins the game. The other players are ranked as per the number of barriers they have respectively passed. 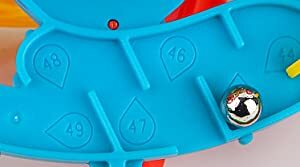 There're also some other rules available for selection: For example, count the number of times of falling(off the tracks)of the little ball, and if the number reaches the predetermined limit（1 or 3）, that player shall quit the game. Of course all the rules are to be freely decided. It's all up to you!! There're also some other rules available for selection: For example, count the number of times of falling(off the tracks)of the little ball, and if the number reaches the predetermined limit（1 or 3）, that player shall quit the game. Of course all the rules are to be freely decided. It's all up to you! Share it with your friends and family as you try to uncover all the patterns and obstacles!